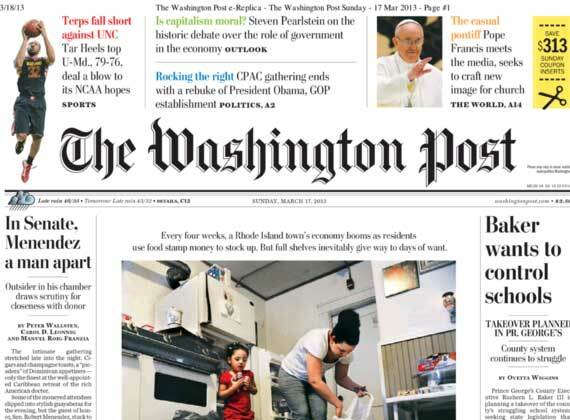 One of the largest U.S. newspaper Washington Post plans to make a paid version of its online version. Works on a subscription model to be introduced later this year, and it will be done in the same way as in the case of The New York Times and The Wall Street Journal, when much of the content will be available only for the money and some items – for free. According to the publication of the plan now under consideration, the paper will offer readers 20 free articles a month, and for all the others have to pay, in addition to the free edition subscribers remain with the paper version of the newspaper. Prices for subscription edition has not yet identified. Analysts do not have a clear approach to the introduction of paid versions of newspaper websites. Obviously, on the one hand, such steps are intended to compensate for the decline in advertising sales and a drop in sales of printed editions. The largest U.S. publication The New York Times two years ago introduced a toll system and since then readers of the base toll reached 640,000 customers and is now publishing gets more revenue from subscriptions than from advertising. The publisher Washington Post commented on the controversial paid model work. On the agenda of this approach is a long time, but last year the publisher rejected such plans, fearing reduction audience. Now, according to publicly available information, the weekly print run of about 470,000 copies, against 674,000 a year earlier.